What Can You Do with a Data Browser? Identify potential problems in a new data set. Correct the issues before your analysis to prevent problems down the road. 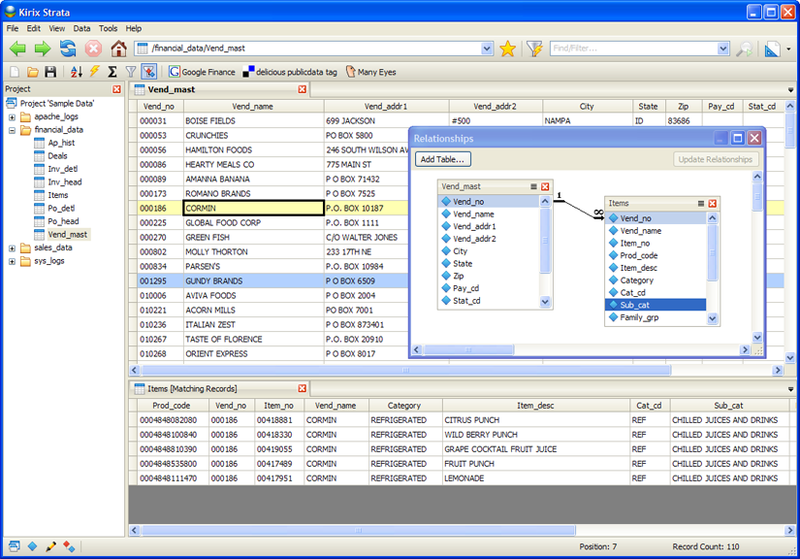 Ever want to just drag and drop Oracle tables into SQL Server? 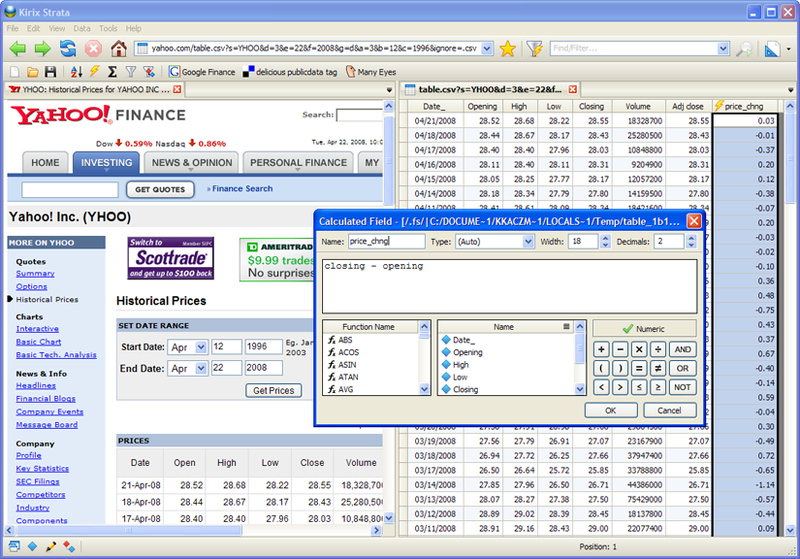 Access, manipulate and join data from multiple back-end systems. Got a field with odd formatting? Need to pull out a piece of data embedded in a field? Quickly clean up your data. There are no 2 GB file size limits or row constraints here. Work with as much data as you have and do it quickly. 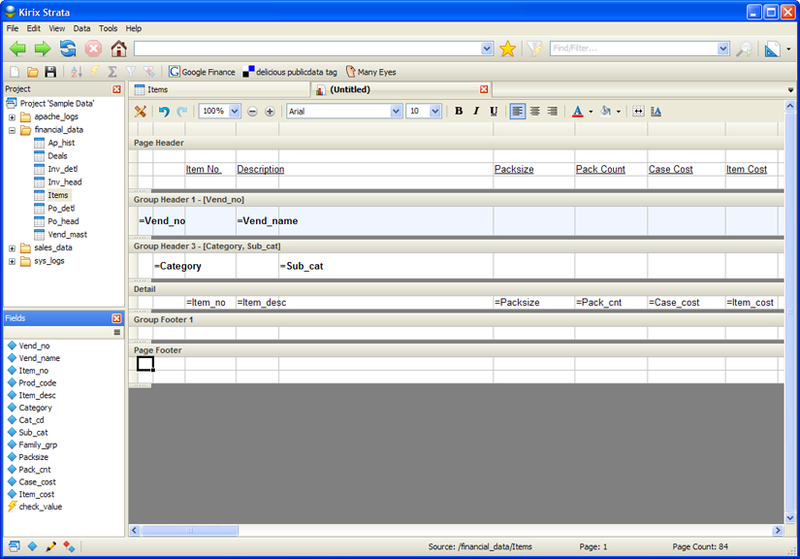 Create ad hoc reports in minutes. 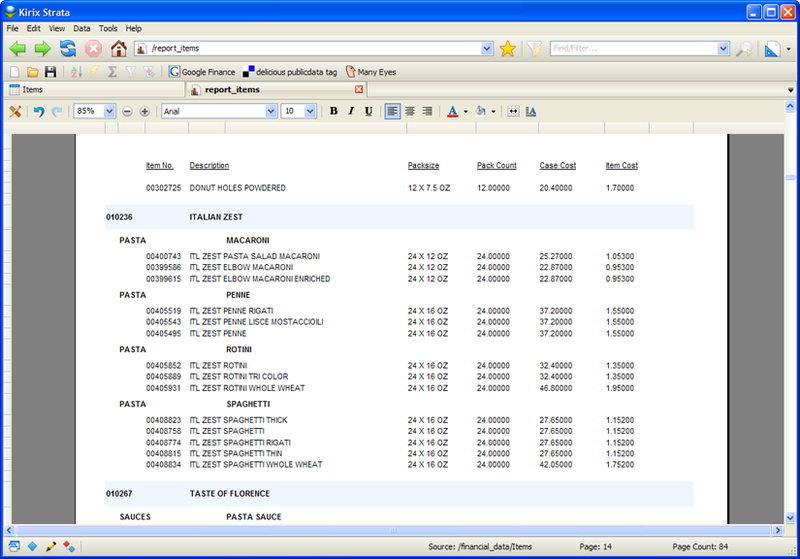 Work with your local data files or create reports directly from Oracle, SQL Server, MySQL, etc. Strata transforms your fixed-length and text-delimited files before your eyes. No wizards needed; start analyzing immediately. "Kirix Strata is the ultimate data playground, turning the tedium of tackling large data sets into tasks of exploration and discovery."